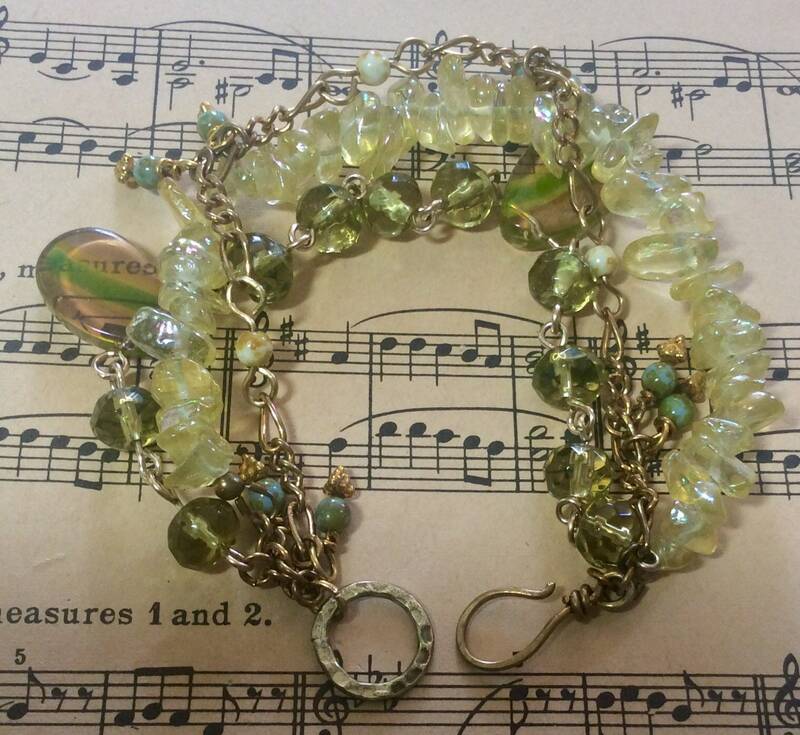 Multistrand brass and glass bracelet with matching vintage necklace. 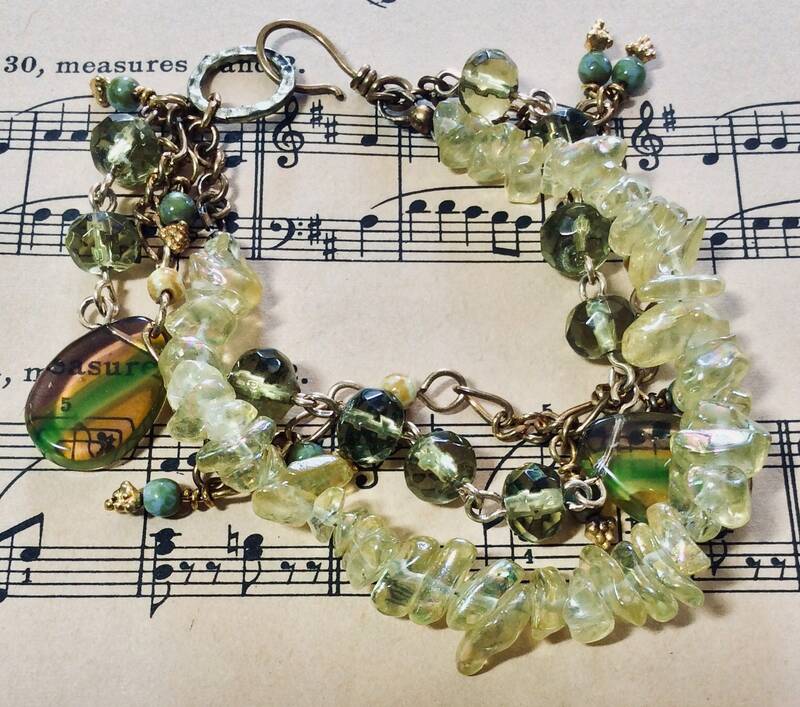 A one of a kind set of vintage bohemian jewelry pieces designed and hand crafted by me! 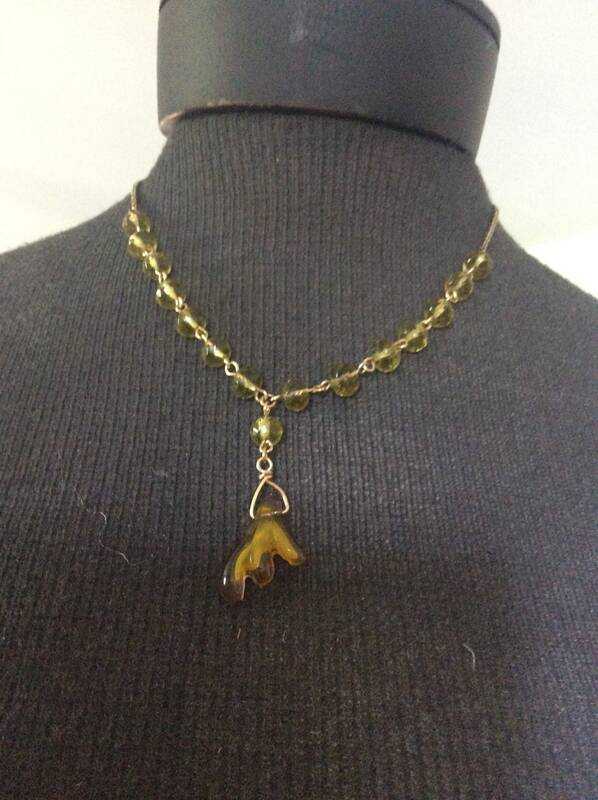 Whenever I locate a gorgeous vintage chain and unusual pieces of glass, my mind starts rolling... I’d like to be able to say my jewelry is preconceived and sketched before making it, but that would be an untruth! In some ways it’s preplaned (I know ahead of time that I want the bracelet to be multistrand or that the necklace should be a simple pendant...But no other planning....🙂). I begin in the middle and listen to my chains and beads as to where they want to be for a pleasing look! And this pairing is the end result! I realize I can’t create jewelry that’s embraced by everyone; but many clients have told me that my jewelry “speaks” to them. Those are the words that provide my inspiration! 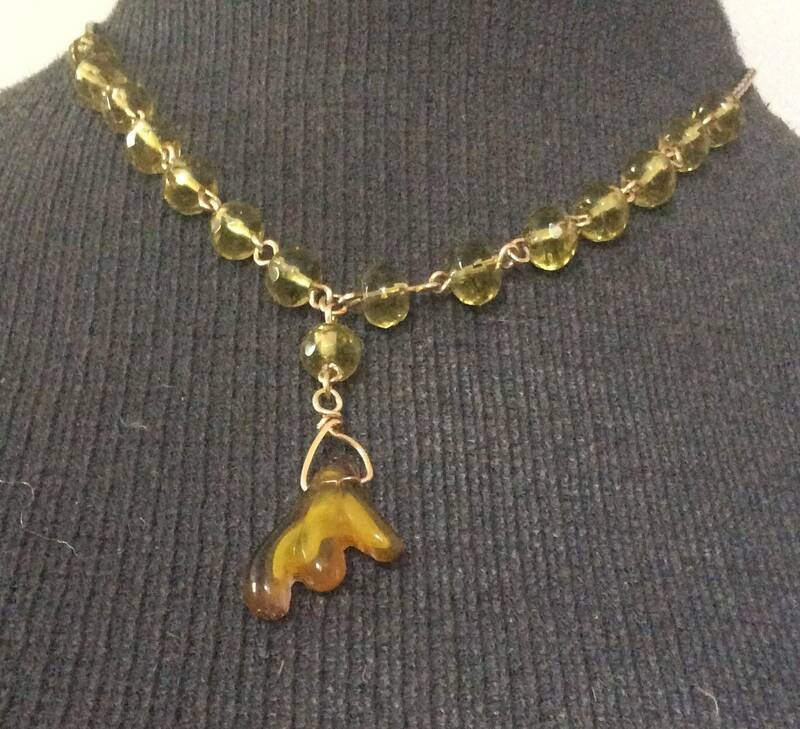 I create jewelry (wearable art) for folks who feel my one of a kind pieces were made for them alone. 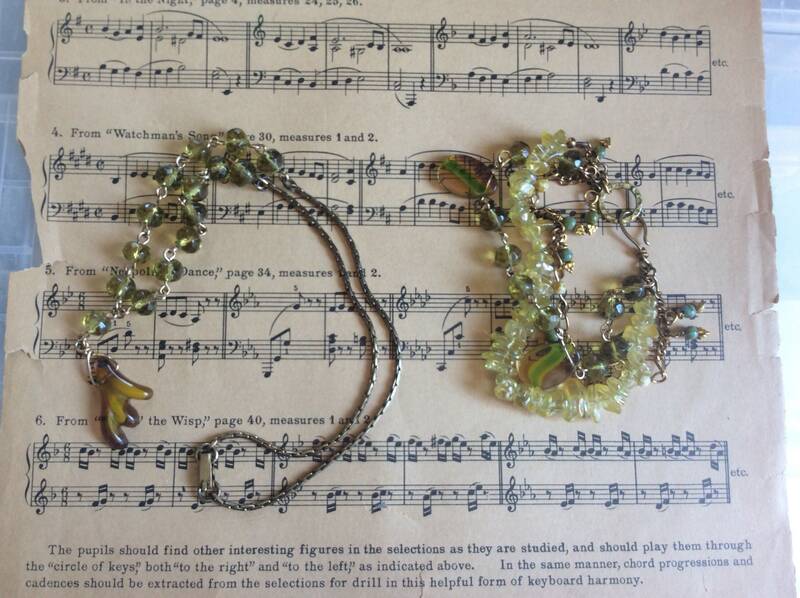 There are iridescent glass chips that are greenish yellow/gold comprising one strand. 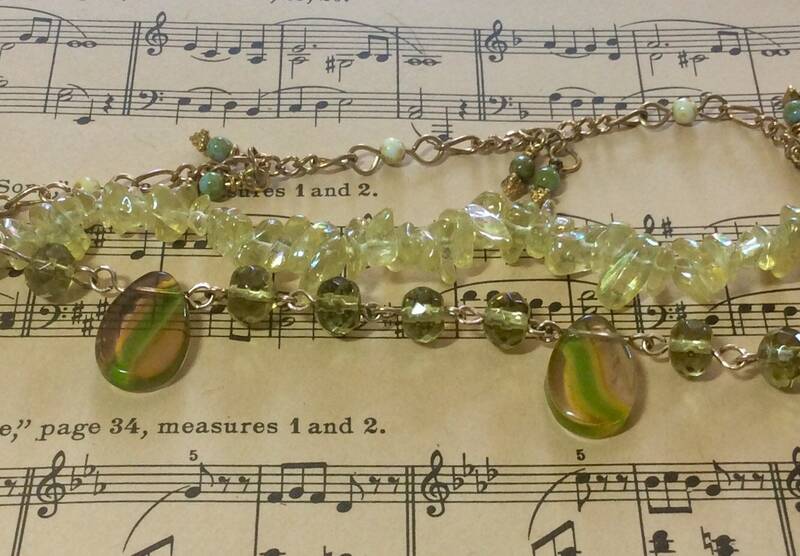 Another strand is faceted 10mm olive green glass rondelles that I’ve linked together. 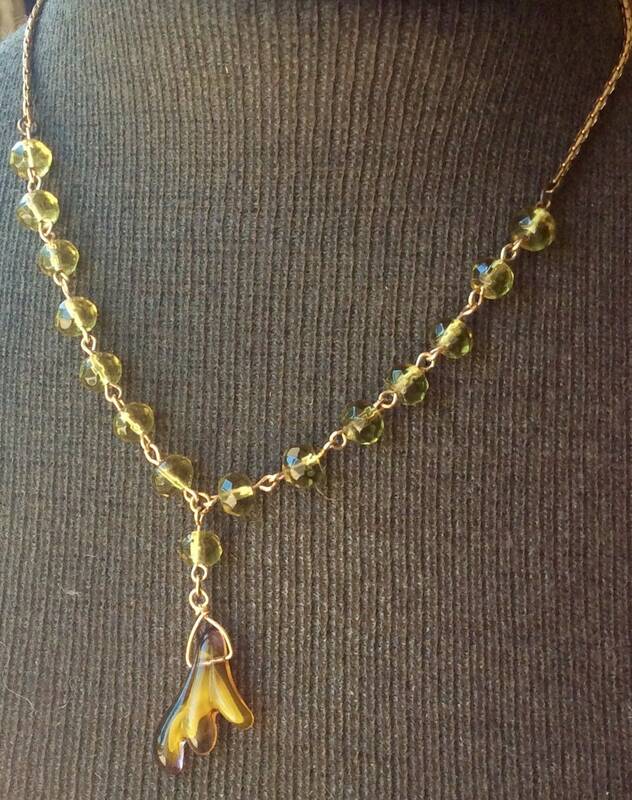 The third strand is vintage brass chain that I’ve interrupted with linked 3mm Picasso glass beads. The clasp is my handmade brass hook, hammered for strength. I’ve added wireguards and crimp covers for esthetics and a professional appearance. 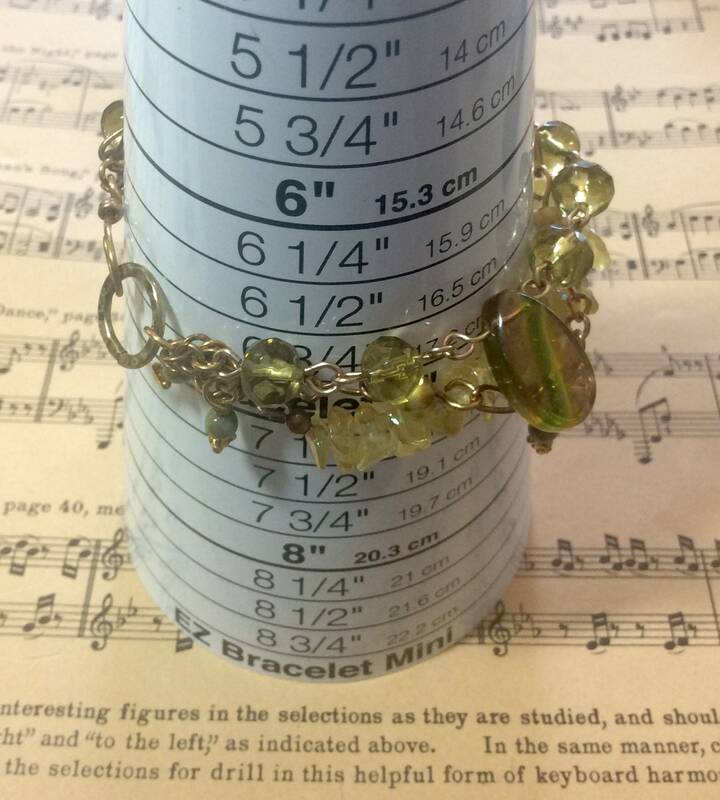 Your necklace is made using the same olive green 10mm rondelles used in your bracelet. I’ve linked 14 of them together using brass wire. 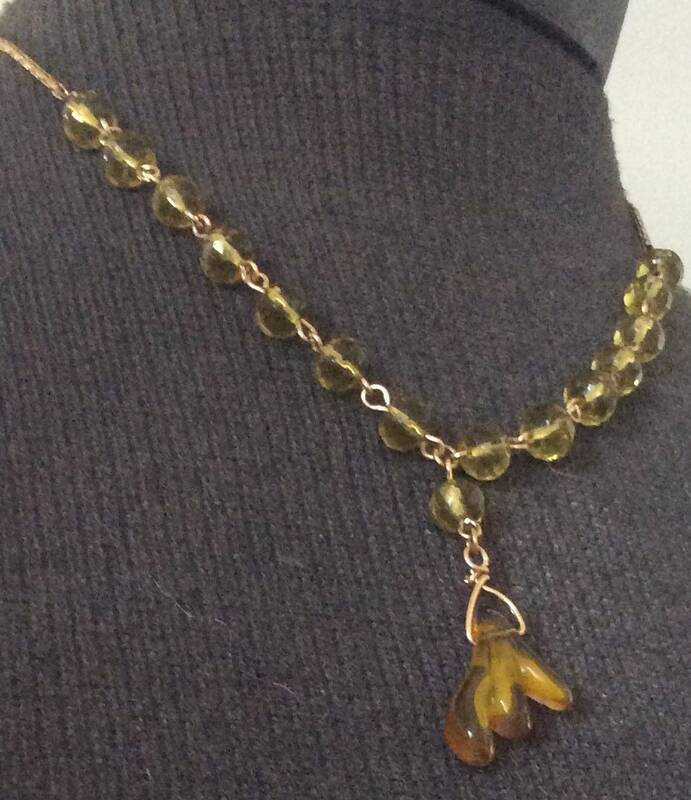 I’ve chosen to finish the necklace using vintage brass box chain with a fold-over brass clasp. There hangs a decorative piece of formed glass that resembles an antler! Very unusual and most definitely OOAK! Your bracelet arrives in a shiny black jewelry box with a gold elastic band for gift giving to yourself or another special person! If you’d like this item shipped to another address, just convo me! 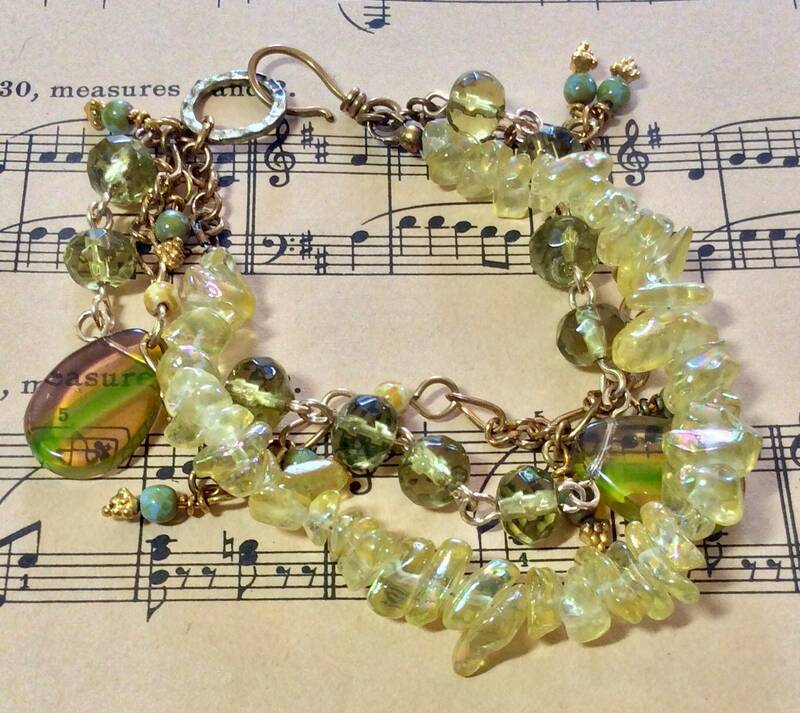 I can also offer a handwritten note with your sentiments to be shipped with your bracelet. Repairs are free, provided you haven’t abused it! Pay shipping only. I’ll review each piece for repair on a case by case basis. This is how confident I am in my workmanship! Shipping is free also; first class with insurance! Feel free to ask me any questions you have or for clarification😉. Thank you for visiting my Etsy store!